Mercedes-Benz 190E 2.5-16: Polyurethane bushes arriving soon! 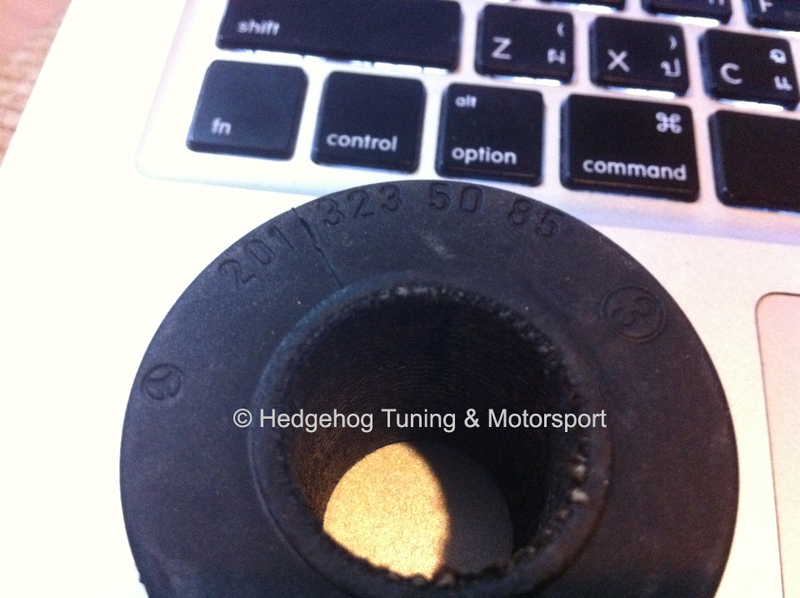 It's been a long wait, but we now have confirmation that the front swaybar PU bushes for George are now in production! Ake from Hedgehog Tuning & Motorsports has received delivery of original Mercedes rubber bushes and is now casting them with polyurethane. Since the original part number (124 323 19 85) is not available, the replacement part is 210 323 50 85 (just in case you needed to know. EDIT: It seems that this part (201 323 50 85) is not a direct replacement for the original bushes. The part is too narrow for the current sway bar bracket and WILL NOT fit. My search for OEM bushes continues.